Aware that I'd forgotten to upload these images before I finished for the Christmas period this post is now going live in January. Better late then never I say! This gorgeous nail polish set was a 'gift with purchase' from the Swarovski store on Bahnhofstrasse Zurich. My husband had bought us some more of their seasonal crystal snowflakes (which are stunning) and three of the stands to display them on this Christmas. Previous years we'd put the crystal snowflakes on our tree but they seem to look a little lost amongst all our other decorations. 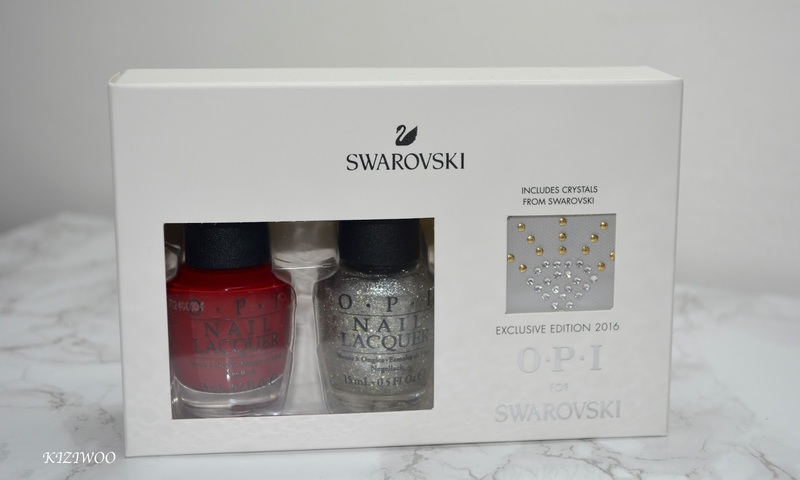 OPI have teamed up with Swarovski to produce this gorgeous set for nail polish lovers. Containing two full size, limited edition polishes, Super Star Status and Love is in my Cards (15ml / 0.5fl.oz); as well as Swarovski nail crystals this set capitulates Christmas perfectly. 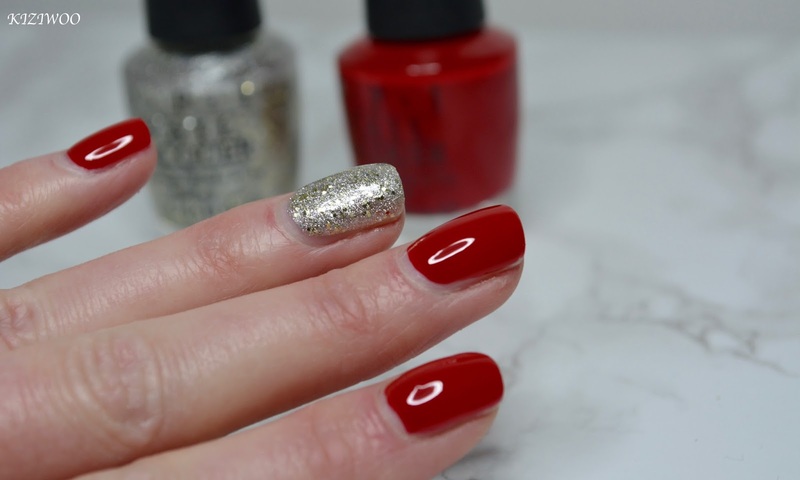 Those of you familiar with OPI Nail Lacquer, you'll know how wonderful the formula is to work with. Rich and creamy it glides onto the nails with ease giving perfect coverage with just one coat. I find both of these colours lasts really well on my nails although Super Star Status is a little difficult to remove (like most glitter based polishes). 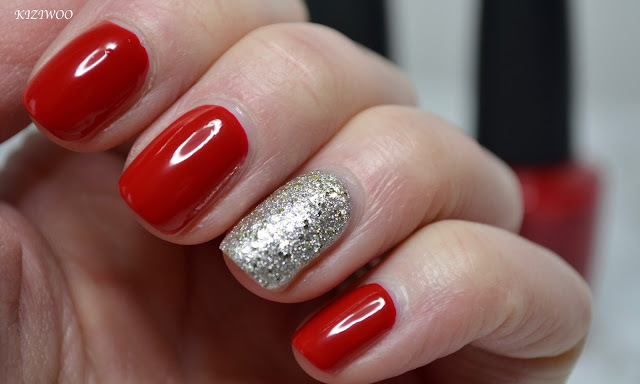 For a close match to Love is in my Cards, try out OPI's Big Apple Red. It's not a rich in colour but pretty close in my opinion. Love that silver accent nail.